I've been on an early 20th century American Lit. kick for the last couple of years. Two years in fact. I say that because two years ago I picked up John Steinbeck's Grapes of Wrath for the first time since I was in High School. Man, to read that masterpiece as a 40-something who's reading it because he wants to instead of reading it as a 17-year-old who has to puts a whole new spin on that novel, let me tell you. Reading it with a couple of years under my belt and with a far more practiced understanding of what loss means enhances it further. If you haven't read it in a while or if you've never read it, do yourself a favor and pick up that book. 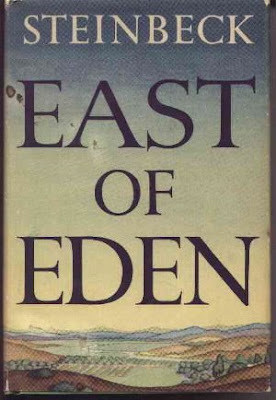 Anyhow, from Grapes of Wrath I moved onto East of Eden, another masterpiece. From there the rest of Steinbeck's life work filled my nightstand and overflowed onto the floor. I spent the next year-and-a-half reading everything the man ever wrote. 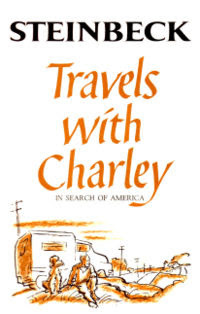 I seemed to have stumbled upon a mid-life literary project and I finished his last book, Travels with Charlie over the summer. 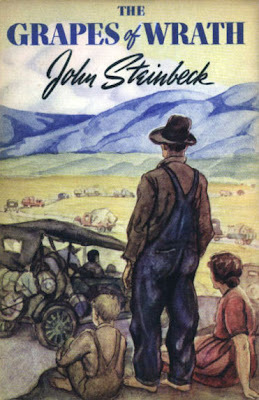 I feel like I know the man John Steinbeck as much as I know his work now. That feels good. A highlight of that whole exercise was taking Once There Was A War with me to Italy last spring. 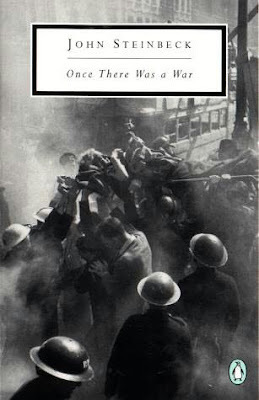 John Steinbeck was a war correspondent during World War II and he accompanied The Allies' invasion of Italy. To read about his experiences on the Isle of Capri while I was actually on the Isle of Capri still makes the hair on my arms stand up. I made it a point to seek out the places along the Bay of Naples and the Amalfi Coast he mentioned. There aren't any markers but Steinbeck did a great job of describing where he was and it was pretty, pretty cool to retrace the path of one of the greatest literary minds this country's ever produced. 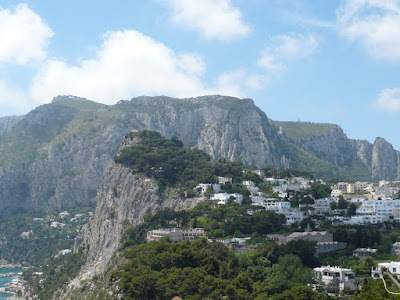 I took this photo from the balcony of the hotel where Steinbeck and a bunch of soldiers were housed on Capri in 1943. Anyhow, finishing up his work left a pretty big hole and I've been searching for a new literary pursuit. I think I found it in Sinclair Lewis' Babbitt, from 1922. Despite my previous incarnation as an English Major, I'd never read it before. I'm glad I picked it up. In an election season where passions are running high and the economy's tanking, it's interesting to read a novel set in 1920 when there was an election approaching, passions were running high and the economy was tanking. Babbitt could have been written yesterday. George Will from the Washington Post mentioned Babbitt in one of his columns a couple of weeks ago and I bought the book based on his column. I don't find myself agreeing with Mr. Will very often, but I always respect his mind. At least so far as reading material goes, Mr. Will knows what he's talking about. Like I said, it could have been written yesterday. So it looks like I'm on a Sinclair Lewis kick 'til further notice. Next up? Elmer Gantry of course.